Age-related sarcopenia contributes to functional decline, falls, fractures, morbidity and mortality of elderly people and was recognised as a disease entity (ICD-10-CM M62.84) in 2016. Whilst a consensus on the operational definition of the condition is awaited, most current definitions incorporate a combination of loss of muscle mass, strength and/or performance. Of those (10 or so) proposed to date, the vast majority of definitions use appendicular lean mass (ALM), derived from whole body dual-energy X-ray absorptiometry (DXA) scans, as the estimate of muscle mass . 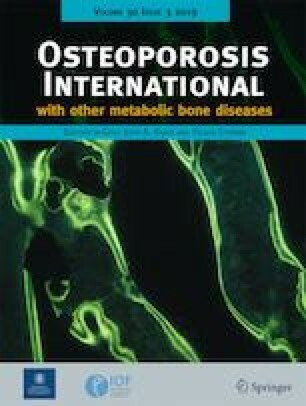 However, there is increasing evidence to suggest that DXA ALM may not contribute to the prediction of fracture outcomes (and indeed is variably related to other outcomes such as falls and mortality), particularly when also considering bone mineral density (BMD) at the femoral neck [2, 3]. In contrast measures of physical performance, for example, low walking speed or inability to rise from a chair, appear more consistently predictive of fracture risk [2, 4]. Whilst this limitation has been recognised through the consideration of muscle strength and/or function in addition to muscle mass in sarcopenia definitions, these observations do lead to the question of whether sarcopenia, and more specifically ALM, yield any information on fracture risk additional to that obtained from BMD. This is important since it informs the potential utility (or lack of utility) of such measures for the FRAX® Fracture Risk Assessment Tool. DXA-derived ALM reflects the body compartment that is non-fat and non-bone within the upper and lower limbs. This yields only an approximation of muscle mass and it will include contributions from skin and connective tissues . In the current definitions of sarcopenia, it is usually normalised for height squared or body mass index to take account of differences in body size . Associations between ALM and fracture reported in previous studies are inconsistent, with no association between ALM/height2 and hip fracture in the US MrOS cohort , or women in the Framingham study , whilst a study in Swiss retirees found that low lean mass was an independent risk factor for clinical fractures, albeit with a small number of fracture events occurring . Furthermore, there is increasing evidence that any predictive value of ALM for fracture is substantially attenuated by consideration of femoral neck BMD. In a recent analysis, participants of the Women’s Health Initiative (WHI) were classified into mutually exclusive groups based on BMD and sarcopenia status (defined using appendicular lean mass values corrected for height and fat mass according to Newman et al. ) . Whereas low BMD was associated with increased risk of hip fracture, women with sarcopenia alone were at similar risk of hip fracture to non-sarcopenic women with normal BMD, suggesting that sarcopenia alone is not predictive of this outcome. In a further WHI study, appendicular lean mass was predictive of incident hip fracture amongst 872 participants, 65 years or older, who met Fried’s criteria for frailty, but this association did not remain statistically significant after adjusting for total hip BMD . These findings are consistent with those of a study of 5911 older men and women in Rotterdam, Netherlands. In this cross-sectional study, sarcopenia, defined using the European Working Group on Sarcopenia in Older People (EWGSOP)  definition, was not associated with prior fractures or falls after adjustment for femoral neck BMD . We have recently studied the entire MrOS population across the USA, Sweden and Hong Kong . 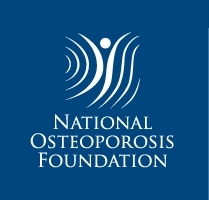 Amongst a total of 10,411 men (aged 64–100 years), greater time for five chair stands was associated with greater risk of major osteoporotic fracture (MOF), whereas greater walking speed, grip strength and ALM/height2 were associated with lower risk of incident MOF. Importantly, inclusion of femoral neck BMD totally attenuated the association between ALM/height2 and MOF. Indeed, after adjustment for femoral neck BMD, increasing ALM/height2 was associated with a greater risk of hip fracture . Similar findings were observed in the Health ABC study . Amongst 3075 individuals aged 70–79 years, with no adjustment for femoral neck BMD, greater ALM/height2 was associated with lower risk of incident hip fracture in women but not men; conversely, when the models included femoral neck BMD, greater ALM/height2 was no longer associated with incident hip fracture in women, but again became a risk factor for incident hip fracture in men . What might be the reasons for this attenuation of ALM by BMD in the prediction of incident fractures? The biological link between muscle and bone is well established, with both direct mechanical and endocrine interactions . However, the notion of muscle in excess of bone mass as a risk factor for fracture might relate to both physical activity and falls risk, but seems an improbable scenario in elderly men, and runs counter to the mechanostat principle . Importantly, both ALM and BMD are derived from the same instrument, namely DXA, and were moderately correlated in MrOS (r = 0.29 to 0.43) . It is well established that soft tissue can influence the measurement of BMD, potentially through magnification artefact associated with a thicker body where BMI is higher and through altered edge detection . This phenomenon has been particularly discussed in terms of adipose tissue and the effect of muscle mass, which is not specifically measured by DXA, has been much less thoroughly considered. Interestingly, in our MrOS analysis, the effect was very similar when ALM rather than ALM/height2 was used, suggesting that the finding was not solely a result of size adjustment. Importantly, BMD is calculated from equations incorporating soft tissue mass , and thus, the possibility of measurement (or adjustment) artefact must be considered . The evidence presented above suggests that DXA-derived ALM is of very limited value in the prediction of incident fractures. Questions then arise of its place in sarcopenia definitions and potential for its consideration in FRAX. Importantly fracture is just one outcome resulting from sarcopenia, and ALM may have more value for other outcomes such as falls and mortality, although recent findings suggest a limited contribution here also, at least amongst men . A further practical consideration is that low muscle mass is inherent in the conceptual basis of sarcopenia (Greek for “loss of flesh”) . Conversely, FRAX is designed to facilitate specifically fracture risk assessment, so in this context, ALM’s lack of fracture prediction when BMD is also considered is a particular problem. Practically, there seems little point in spending up to 10 min acquiring a DXA whole body scan in addition to a 30 s hip assessment, when it will add no additional risk information. Other modalities of muscle assessment, such as peripheral quantitative computed tomography , or labelled creatine dilution , might contribute to the prediction of fracture independently of DXA BMD, and investigations of the value of these indices in large cohorts, considering also DXA BMD and FRAX probability, are warranted. In summary, there is convincing evidence from several large prospective cohorts (for both men and women) that the use of DXA-derived appendicular lean mass (ALM) in the prediction of incident fractures does not yield additional risk information when BMD is also considered. This clearly raises questions about the role of DXA ALM in sarcopenia definitions, at least in regard to the outcome of fracture, and suggests that DXA ALM is unlikely to be a useful input variable or risk modifier in FRAX. NCH has received consultancy/lecture fees/honoraria/grant funding from Alliance for Better Bone Health, AMGEN, MSD, Eli Lilly, Servier, Shire, UCB, Consilient Healthcare and Internis Pharma. EVM has received consultancy/lecture fees/grant funding/honoraria from ActiveSignal, AgNovos, Amgen, AstraZeneca, Consilient Healthcare, Gilead, GSK, Hologic, Internis, Lilly, Medtronic, Merck, Novartis, Pfizer, Radius Health, Redx Oncology, Roche, Sanofi-Aventis, Servier, Synexus, Tethys, UCB, Viiv, Warner Chilcott, I3 Innovus and Unilever. ML has received lecture or consulting fees from Amgen, Lilly, Meda, UCB Pharma, Renapharma, Radius Health and Consilient Health. JAK reports grants from Amgen, Lilly and Radius Health, and consulting fees from Meda; he is the architect of FRAX but has no financial interest. HJ and EL have nothing to disclose.